Image pirated from Colin Berry, complete with the yellow exclamation mark. A body image is visible in areas of noncontact zones between body and Shroud, for example, the nose and cheek areas. This characteristic is inconsistent with the image being formed by a contact mechanism. Yeah! And? Any strong objections to this point other than from Colin and those who propose photographic methods and those who propose artistic methods and maybe Luigi Garlaschelli? Hearing none . . . The luminance distribution of both front and back images can be correlated to the clearances between the three-dimensional surface of the body and a covering cloth. 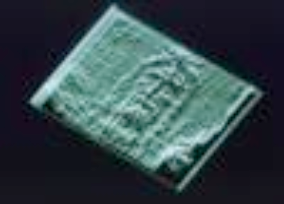 This is why many state that the Shroud is a 3D image. As with the previous items, we are being forced to think of this only in terms of a cloth covering a body. While this may be the case, this is an assumption and not an image characteristic. It should be avoided. The body image has the normal tones of light and dark reversed, so the body parts nearer the cloth are darker. This fact leads us to state that the body image appears as a photographic negative. 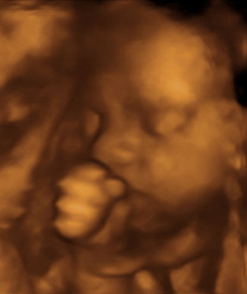 See the contrasting naked eye and photographic negative images of the face below. 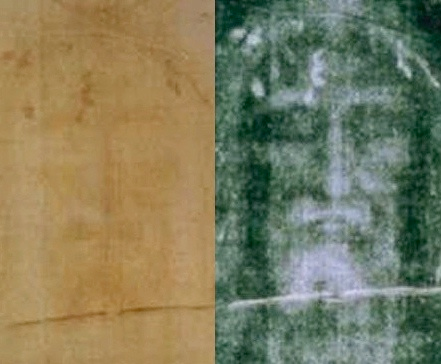 Italian photographer Secondo Pia took the first official photographs of the Shroud in 1898. 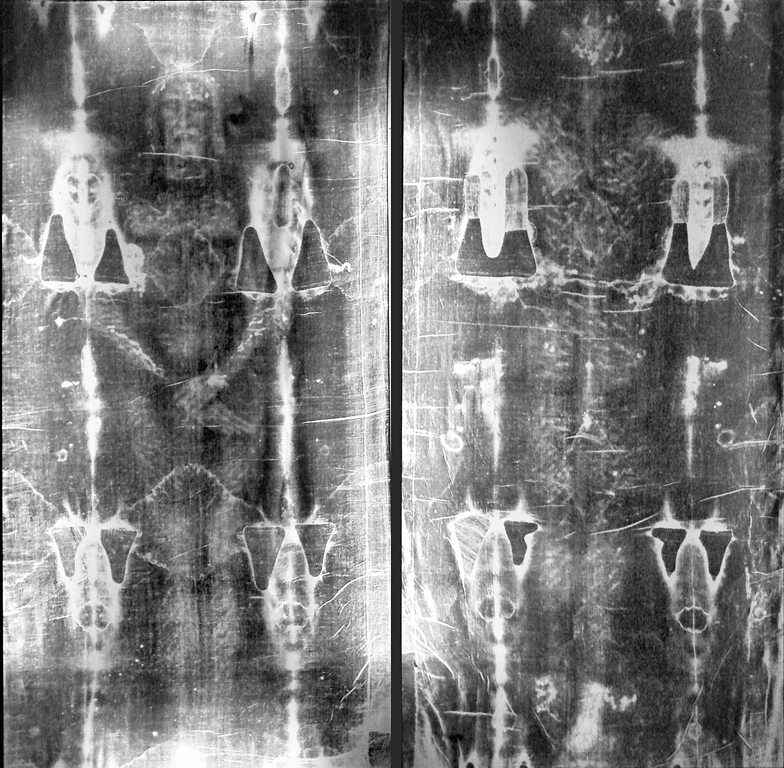 He had been invited to photograph the Shroud while it was being exhibited to the public in the Turin Cathedral. 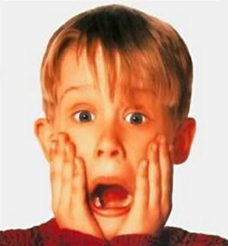 As he developed the film he was shocked to see what was revealed. 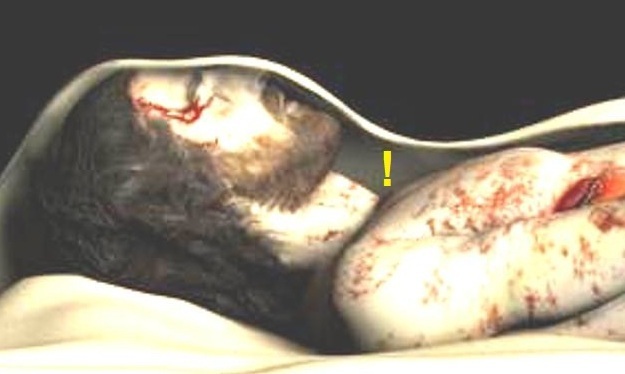 His negatives showed incredibly detailed images of an anatomically correct, naked and crucified man, which could simply not be seen when viewing the Shroud with the naked eye. When released to the public, Pia’s photographic negative images acted to spontaneously launch modern scientific forensic and historical inquiry into the Shroud. 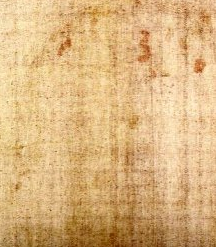 As a result the Shroud has arguably become the single most studied artifact in history. The normal tones are reversed. The normal tones of what? Of body parts? I’m not light on the nose and dark in the cheeks. Well said, Hugh. I agree. B27) The body image has the normal tones of light and dark reversed with respect to a photograph, such that parts nearer to the cloth are darker (Jumper 1984, Craig 2004, Schneider 2004). Why not simple say that it seems to be like or act like a photographic negative? But I know, even that seems imprecise. My real objection to this statement is how much it implies under the guise of being an objective “established” observation. Really, “so the body parts nearer the cloth are darker,”? Nearer? How is that observed? Could we say if we imagine that a cloth covers a body? I can’t say the comment is wrong. In the end it seems almost obviously correct. But it is not observed.